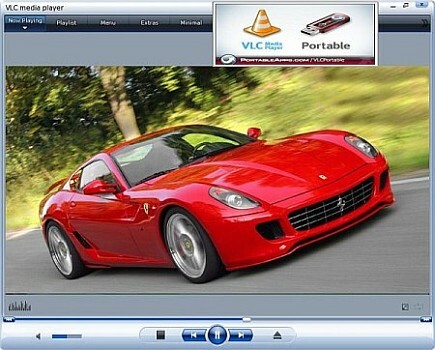 VLC Media Player 3.0.6 Final Portable » TopFreeSoft.Net - Best Freeware Software! VLC has hardware decoding on most platforms. It supports 0-copy on the GPU and can fallback on software when required. MPEG-1/2, DivX?® (1/2/3/4/5/6), MPEG-4 ASP, XviD, 3ivX D4, H.261, H.263 / H.263i, H.264 / MPEG-4 AVC, Cinepak, Theora, Dirac / VC-2, MJPEG (A/B), WMV 1/2, WMV 3 / WMV-9 / VC-1, Sorenson 1/3, DV, On2 VP3/VP5/VP6, Indeo Video v3 (IV32), Real Video (1/2/3/4). MPEG Layer 1/2, MP3 - MPEG Layer 3, AAC - MPEG-4 part3, Vorbis, AC3 - A/52, E-AC-3, MLP / TrueHD>3, DTS, WMA 1/2, WMA 3, FLAC, ALAC, Speex, Musepack / MPC, ATRAC 3, Wavpack, Mod, TrueAudio, APE, Real Audio, Alaw/?µlaw, AMR (3GPP), MIDI, LPCM, ADPCM, QCELP, DV Audio, QDM2/QDMC, MACE. MPEG (ES,PS,TS,PVA,MP3), AVI, ASF / WMV / WMA, MP4 / MOV / 3GP, OGG / OGM / Annodex, Matroska (MKV), Real, WAV (including DTS), Raw Audio: DTS, AAC, AC3/A52, Raw DV, FLAC, FLV (Flash), MXF, Nut, Standard MIDI / SMF, Creative?„? Voice. VLC has plenty of new stuff such as the ability to browse network drives and support for HDR video. Other enhancements include 360 video with 3D audio, support for newer video formats and codecs such as WebVTT, TTML, HQX and 8K video playback. VLC 3.0 activates hardware decoding by default, to get 4K and 8K playback! Can stream to Chromecast devices, even in formats not supported natively. Can play Blu-Ray Java menus: BD-J. VLC supports browsing of local network drives and NAS. HEVC hardware decoding on Windows, using DxVA2 and D3D11. Stream to distant renderers, like Chromecast. Support EAC3 and TRUEHD pass-through for PulseAudio.